A researcher at Melbourne University is training sniffer dogs to detect pests and diseases in vineyards, including the dreaded phylloxera. Canines have long been used to detect drugs and explosives, but this latest research could lead to their impressive sense of smell being put to use in the vineyards. Sonja Needs, a viticulture and animal science researcher at the University of Melborune, is leading research on how to train dogs to sniff out the pest, which feeds on the roots of vines and can wipe out entire vineyards, as reported by Australia’s abc.net. 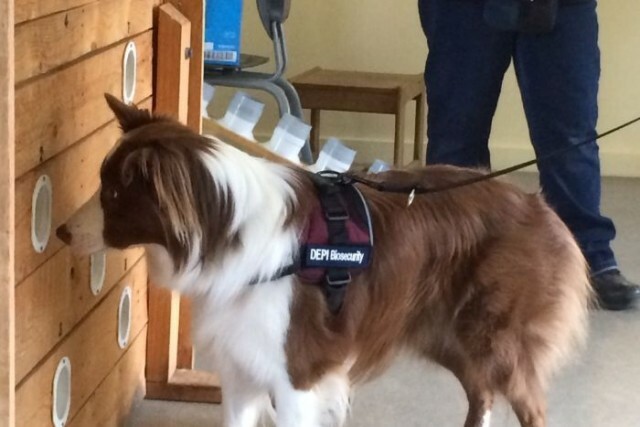 Explaining her belief that it was possible to train any breed to be a sniffer dog, Ms Needs said it was a case of taking a dog already trained in other services, like drug detection, and “flicking their switch” to instead detect vine pests such as phylloxera. Ms Needs hopes her research will reveal what stage dogs are able to detect the life cycle of phylloxera, which could result in early diagnosis and intervention. Ms Needs is working with the Victorian Government on the research and hopes to have completed training by the end of 2015.